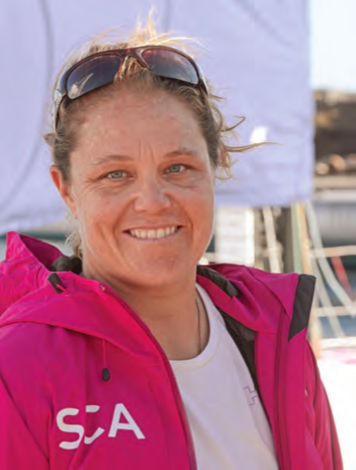 Two-time Rolex Yachtswoman of the Year Sally Barkow of Nashotah, WI has joined Team SCA Ocean Racing for the Volvo Ocean Race 2014-15. The all-female roster currently comprises Barkow, Carolijn Brouwer from The Netherlands, Sam Davies, Abby Ehler and Annie Lush from Great Britain, Justine Mettraux from Switzerland, and Liz Wardley, Sophie Ciszek and Stacey Jackson from Australia, with trials for the remaining VOR berths underway at press time. “I think I am probably most looking forward to coming together as a whole team,” said Barkow, who represented the USA in Women’s Match Racing at the Beijing Olympics in 2008 and won the 2011 Women’s Match Racing Championship. “Once the full team is announced, the gaps are filled and the team becomes a little more solidified then we can start to work as a group instead of on two boats with guys onboard, which is great for learning and for competition but it means we are not in our roles onboard, and cannot work to the high level we need to be to sail around the world. So, when we do get to that level it will definitely be the most exciting thing.” Team SCA is training in Lanzarote, and will compete in a number of offshore races in the first half of this year before moving their base to Alicante to prepare for the start. 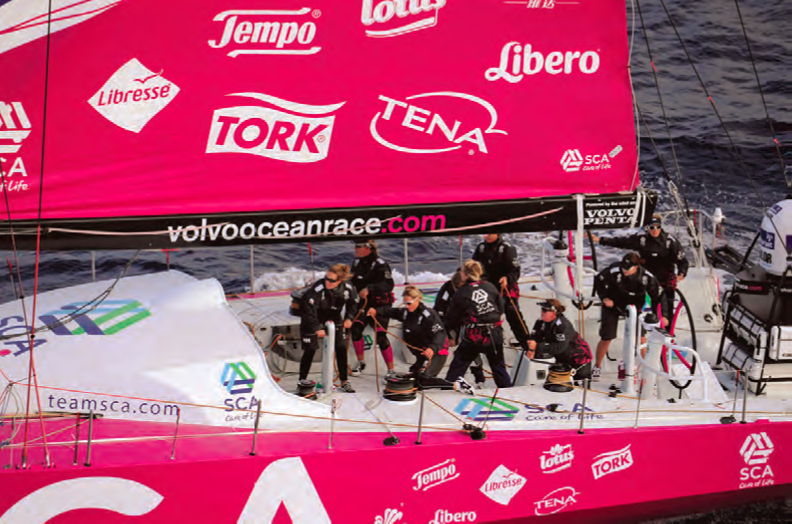 Visit teamsca.com for more information. For the first time in its history, the Volvo Ocean Race has a stopover in Newport, Rhode Island, identified on the event website as “the spiritual home of sailing.” Boats completing Leg 6 from Itajai, Brazil to Newport will arrive in early May 2015, and the Newport In-Port Race will be sailed May 16 on Narragansett Bay. There will be prime viewing from the Volvo Ocean Race Village at Fort Adams State Park, and the one-design fleets at Sail Newport will be hosting some exciting support races. Leg 7, 2,800 nautical miles from Newport to Lisbon, Portugal, starts May 17. The race finishes in Gothenburg, Sweden on June 27, 2015. Visit volvooceanrace.com for more information.